1. 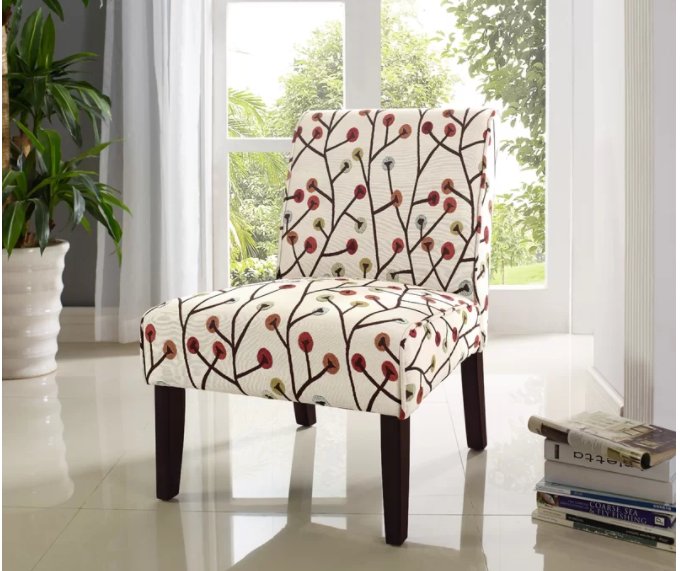 Birch Lane, which has a basically endless selection. 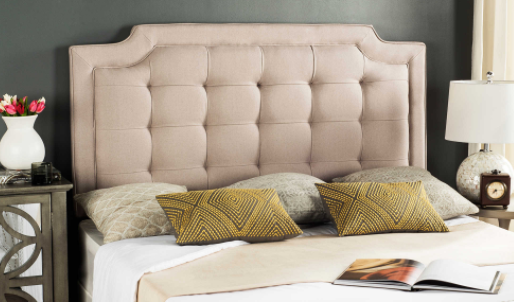 Why it's great: With everything from desks to day beds and basics to statement pieces, it can totally be your one-stop furniture shop. Pricing: Beds start at $87.99, sofas start at $164.99. Shipping: Varies by piece, but many items are eligible for free two-day shipping. 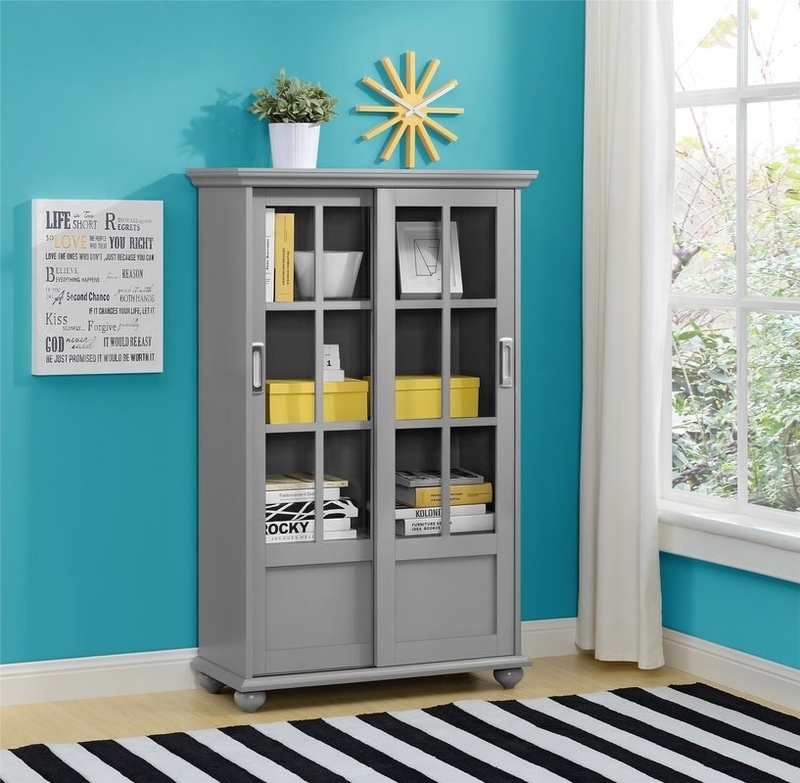 Get the bookcase for $185.99 (available in five colors), the chair for $112.99, and the bedside table for $82.99 (available in five colors). 2. Jet, a store that will make your space "fly like a jet stream," as Taylor Swift would say. Why it's great: The online superstore has a massive inventory in a wide variety of styles. Plus, adding certain products to your cart lowers your order total. 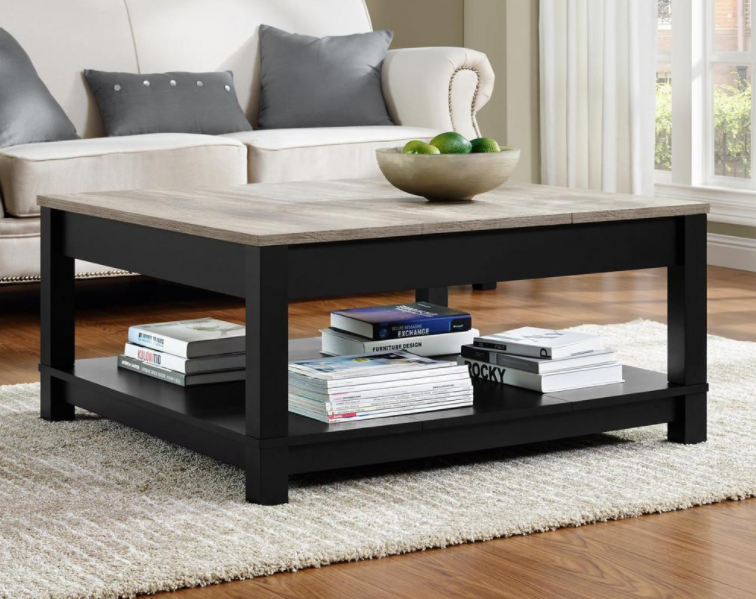 Pricing: Coffee tables start at $29.32, beds start at $59.98. Shipping: Free for orders over $35. 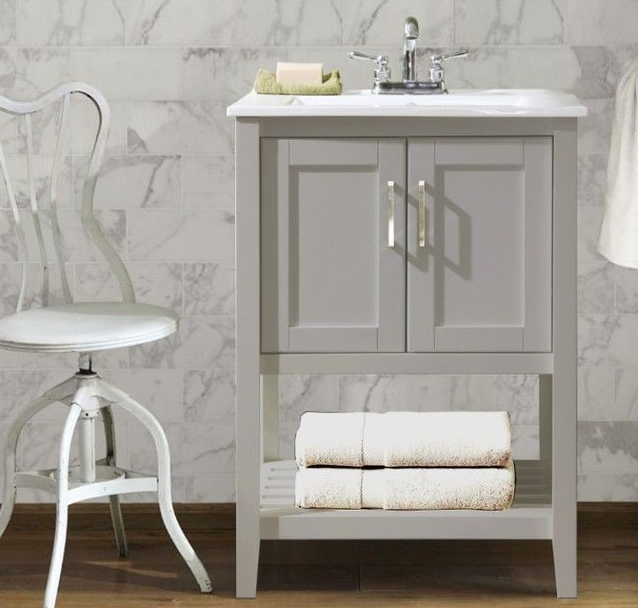 Get the headboard for $59, the ottoman for $106.99, and the vanity for $169.99. 3. Amazon, which in addition to stocking everything you'll ever need in your life, has some truly jaw-dropping deals. Why it's great: We all know that you can get anything on Amazon. But their home goods section is especially impressive, with tons of brands and big selections of kids' and outdoor furniture. One of the best deals you can find? 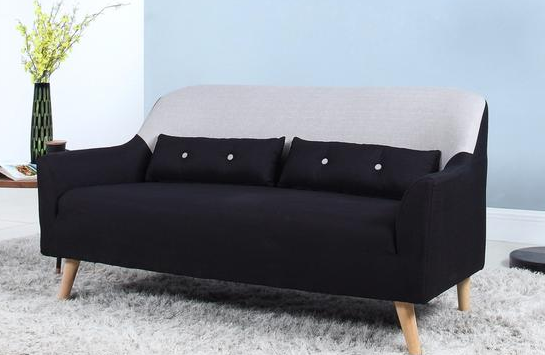 The cool couch above for under $300. 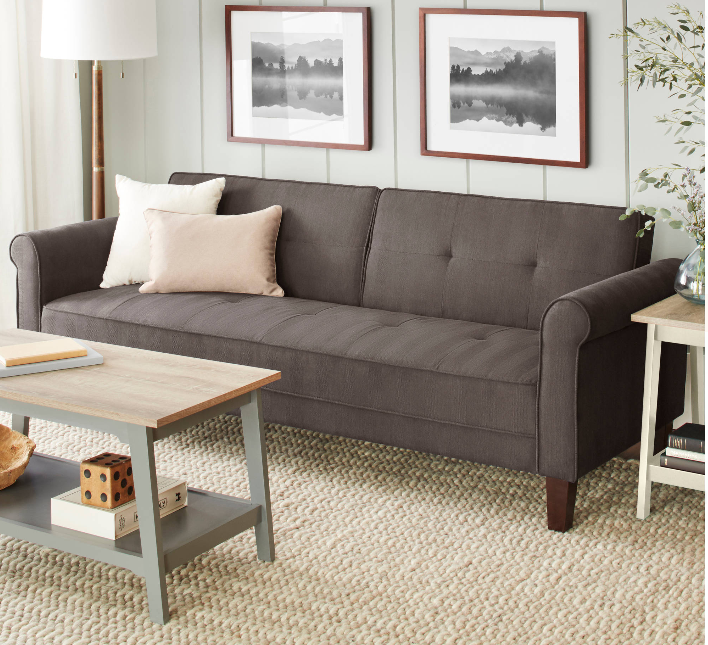 Pricing: Sofas start at $124.82, coffee tables start at $71.71. Shipping: Many items eligible for free shipping. 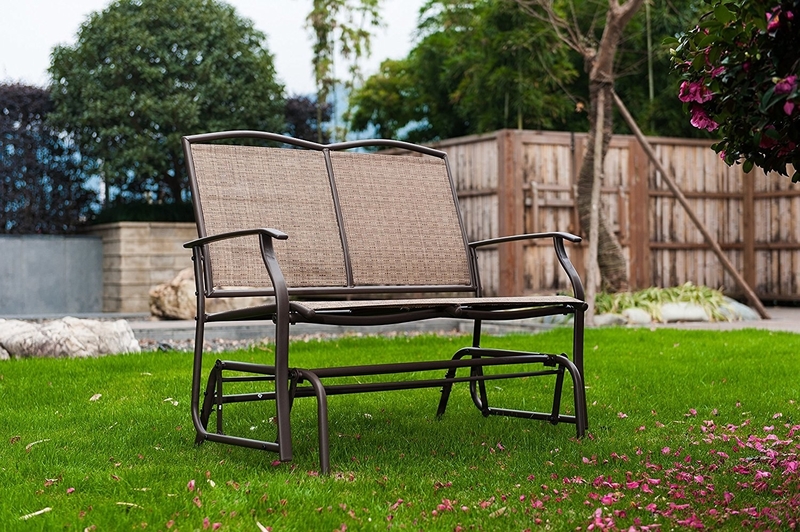 Get the sofa for $229.99 (available in two colors), the table and chair set for $136.01, and the patio bench for $69.59. 4. 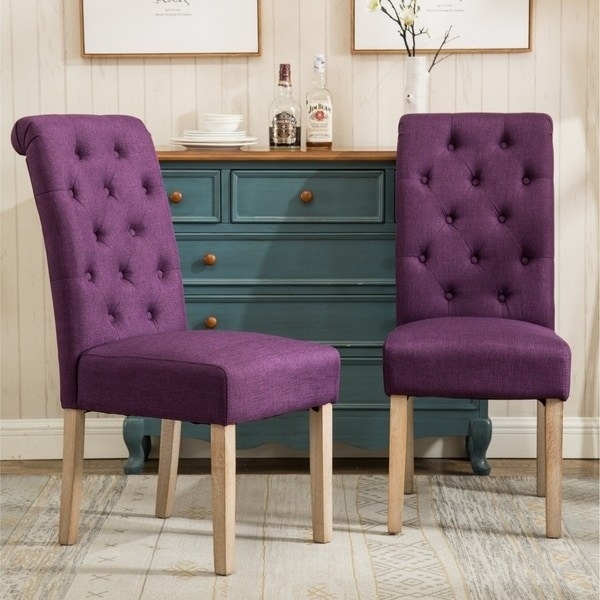 Wayfair has way more than a fair selection of furniture (sorry, I had to). Why it's great: They carry everything from furniture to decor to appliances, and are an amazing resource if you're decorating a new home. They also do custom upholstery. 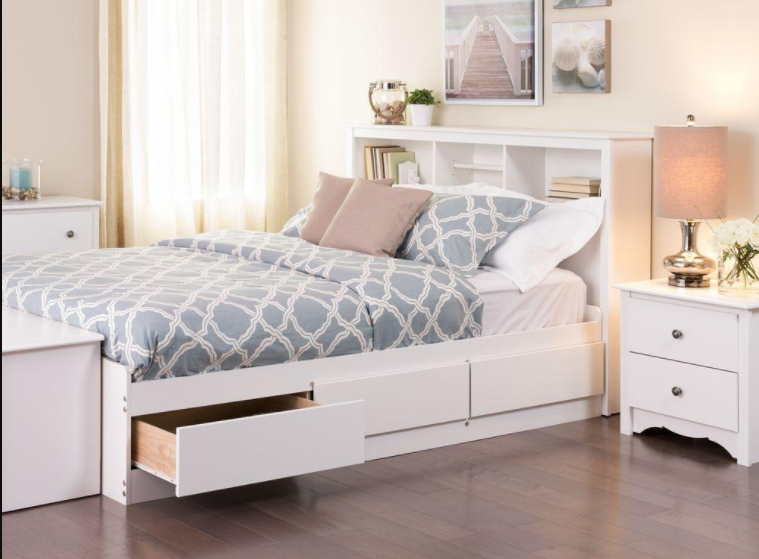 Pricing: Dressers start at $74.98, beds start at $66.99. Shipping: Many items eligible for free two-day shipping. 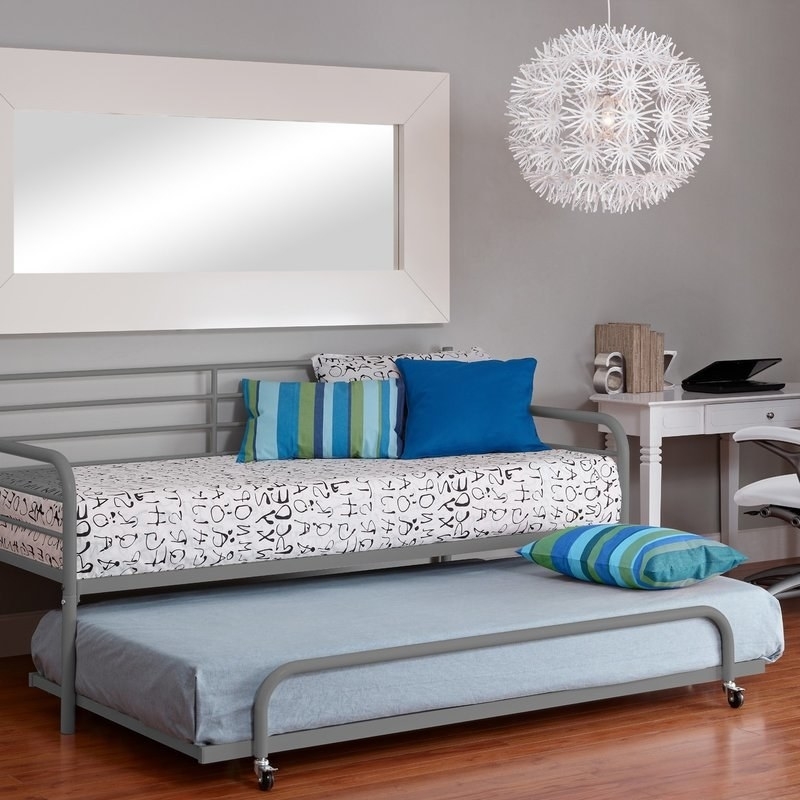 Get the daybed for $206.98, the bookshelf for $73.99, and the mirror for $101.09. 5. 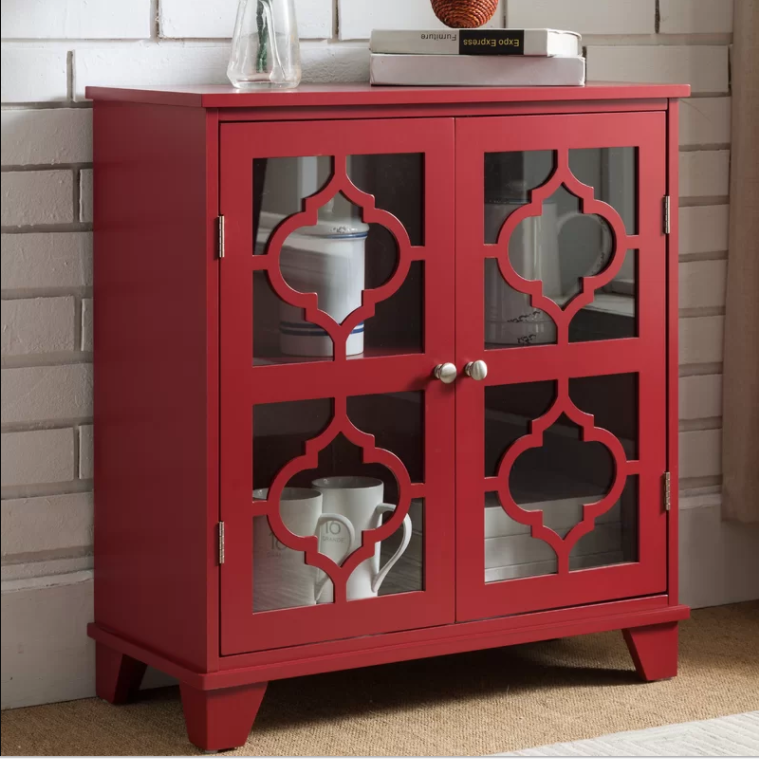 T.J. Maxx for tons of affordable (and adorable) accent furniture. 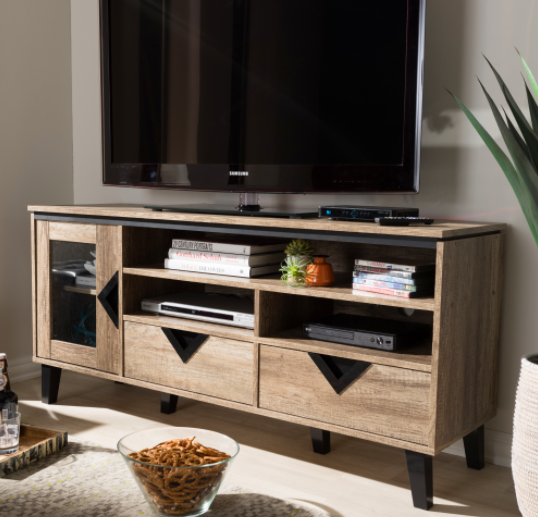 Why it's great: While everyone's favorite outlet store doesn't carry larger furniture items, their accent furniture will add a personal touch to your space. Pricing: Furniture starts at $24.99. 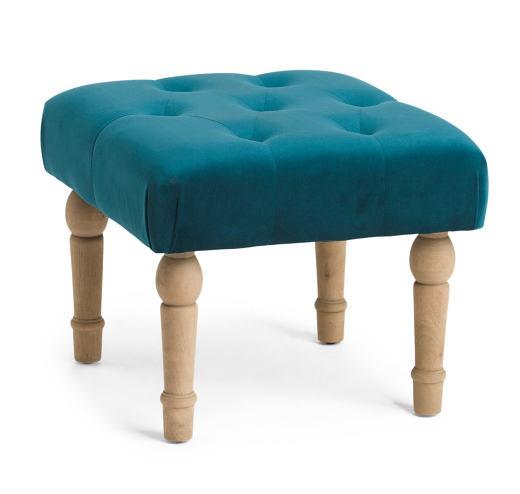 Get the ottoman for $49.99, the side table for $129.99, and the desk chair for $129.99. 6. Ikea, a store whose name is essentially synonymous with affordable furniture. 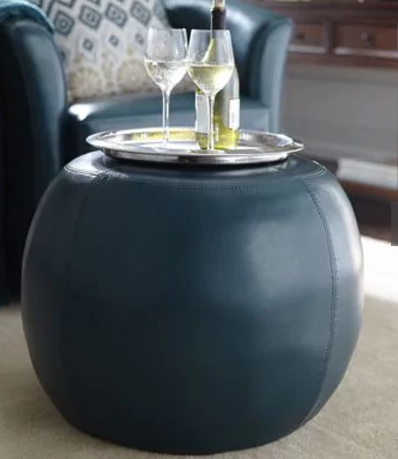 Why it's great: It's probably the only furniture store to have achieved meme-level status. But all jokes aside, their stuff is still some of the easiest to assemble. 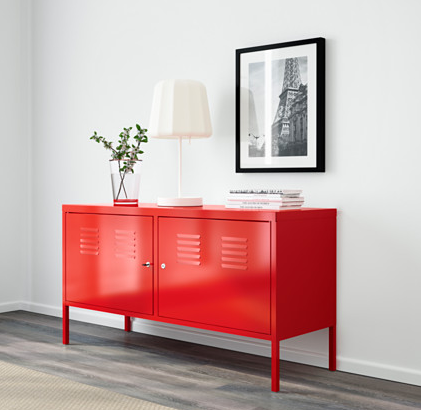 In this magical Swedish wonderland, you'll find sleek, modern pieces, from minimalist furnishings to brightly colored ones. And you can get delicious meatballs while you're at it! Pricing: Sofas start at $89, desks start at $49.99. 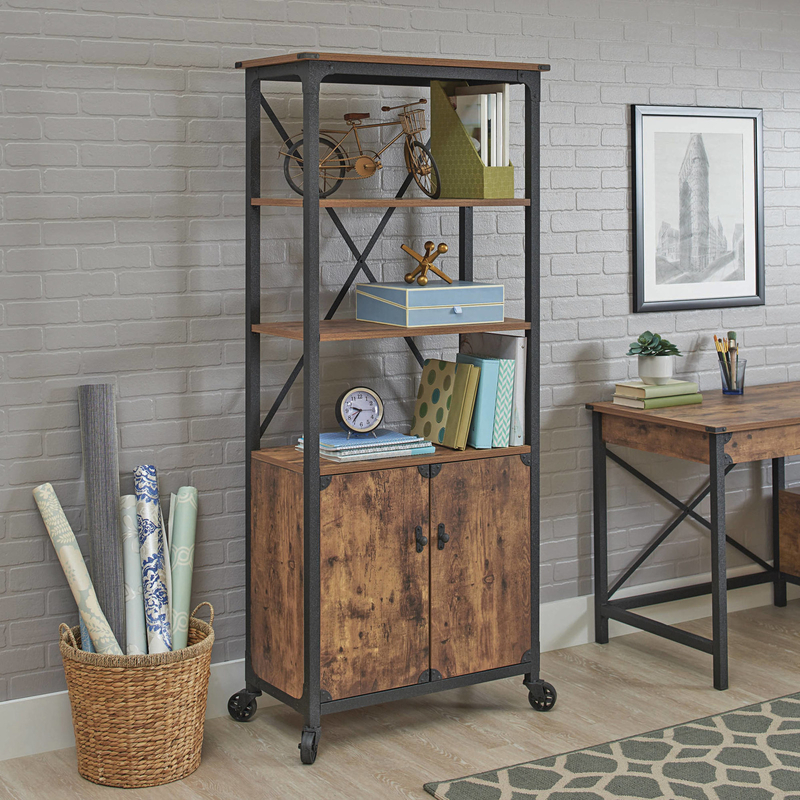 Shipping: Large item delivery starts at $99 to your home, $59 to your local store. 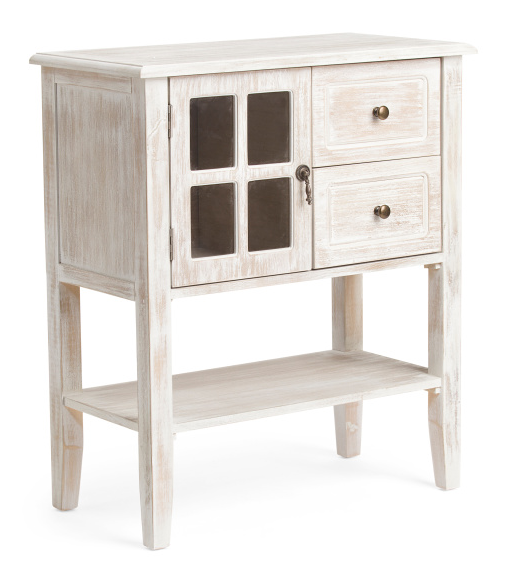 Get the cabinet for $99 (available in three colors), the kitchen table for $189, and the lamp for $89.99. 7. 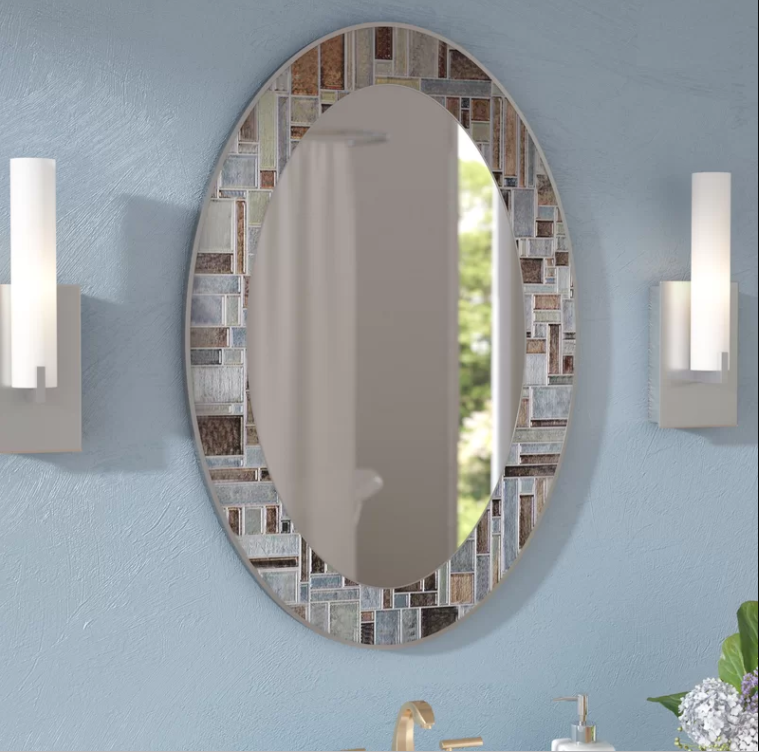 Pier 1 Imports for everything from large pieces to fabulous accents. Why it's great: Their products are tastefully offbeat, and their site has a really cool inspiration section. 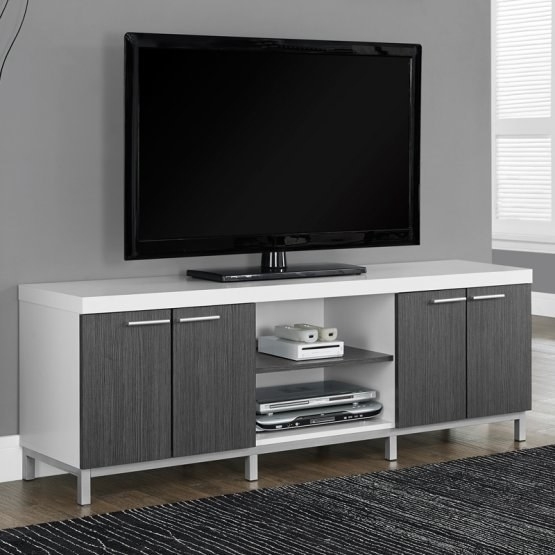 Pricing: Living room furniture starts at $34.98. Shipping: Starts at $5, in-store pickup is free. 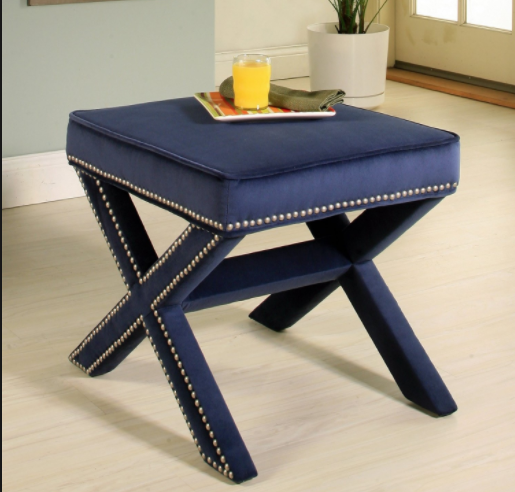 Get the breakfast table set for $424.95, the jewelry armoire for $279.95, and the ottoman for $169.95 (available in eight colors). 8. Urban Outfitters is a fantastic destination for more than just skinny jeans and Grumpy Cat anthologies — their furniture is equally awesome. 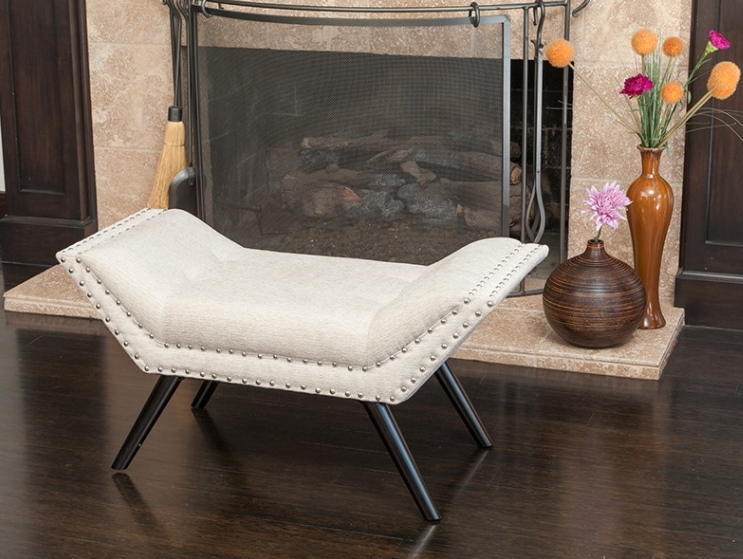 Why it's great: Like their clothing, Urban's furniture is hip, bohemian, and romantic. 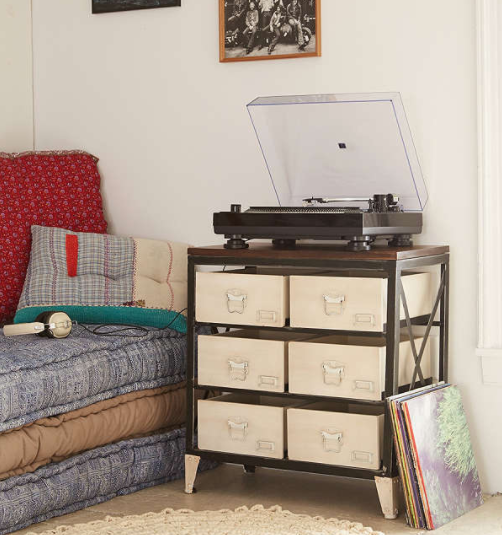 They have tons of sofas under $600, plus dressers, decor, and everything in between. 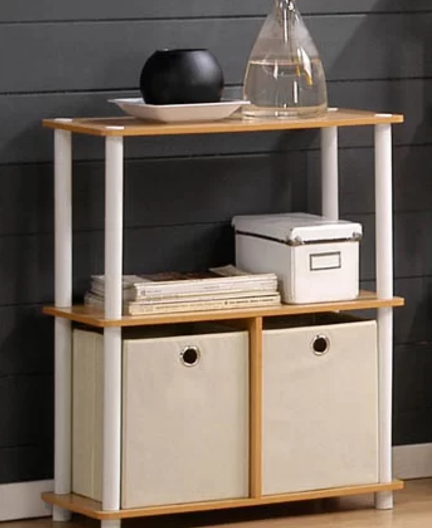 Pricing: Furniture starts at $29. 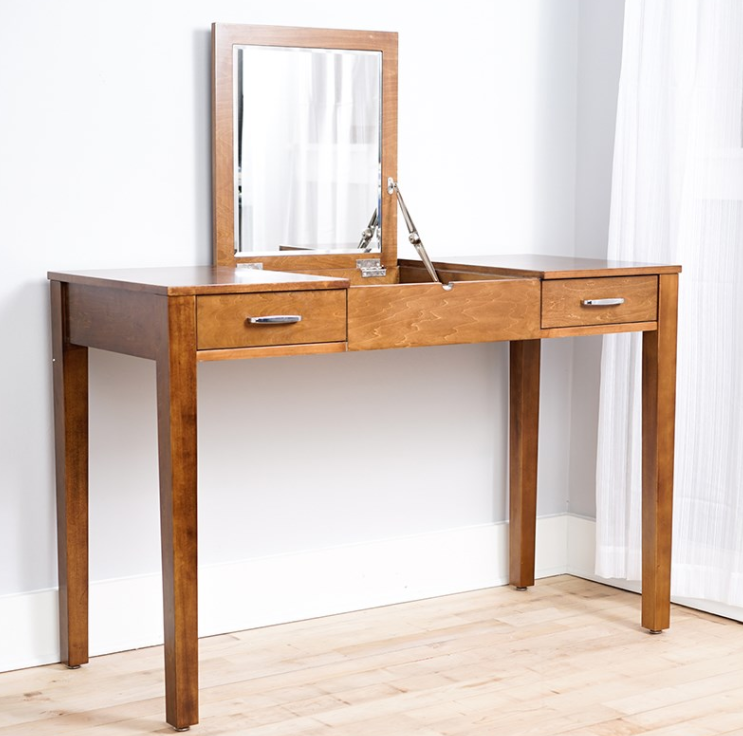 Get the vanity for $159 (available in two colors), the dresser for $169, and the sleeper sofa for $649 (available in three colors). 9. 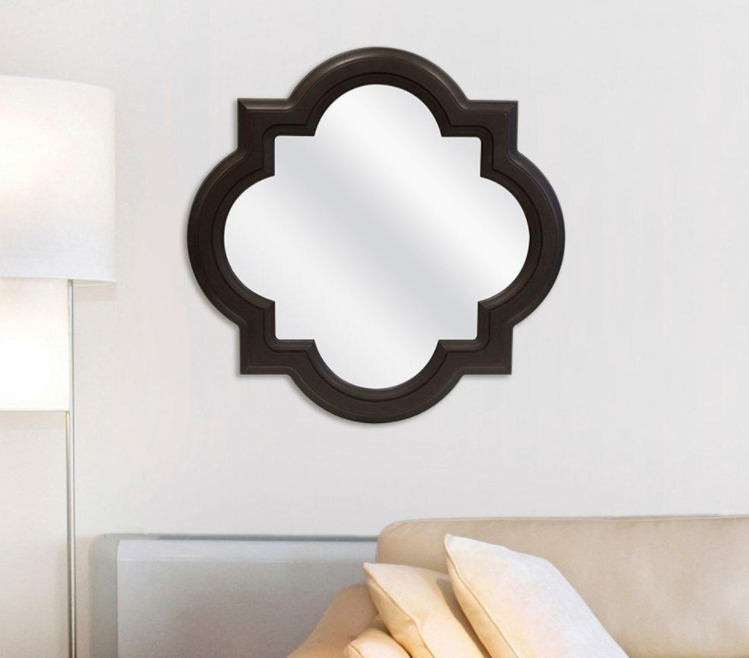 Cost Plus World Market to decorate your home like a world traveler, without ever leaving your couch. Why it's great: World Market is known for its bright, eclectic finds from around the world. 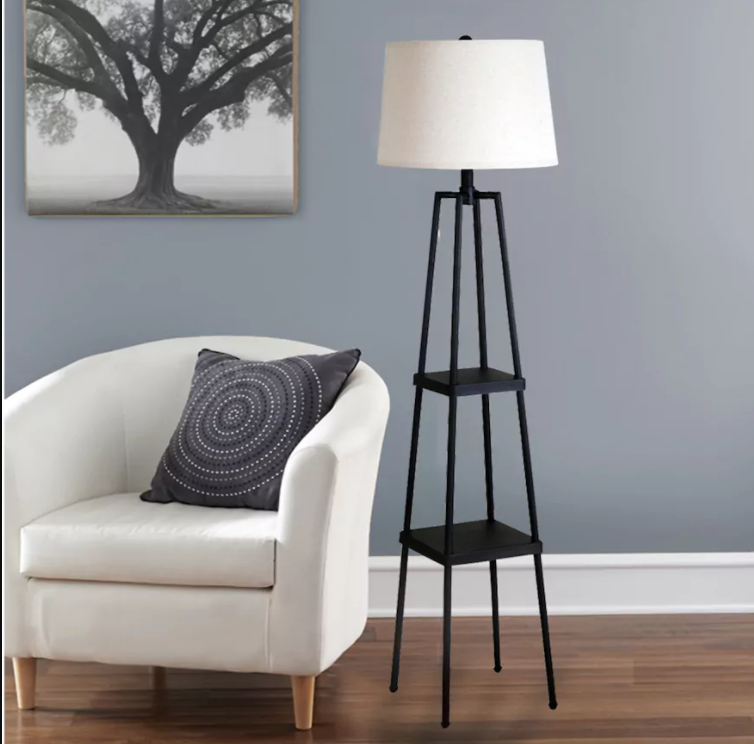 Their pieces are perfect for adding a pop of color to your space, but you can find quality basics there too. Pricing: Living room furniture starts at $39.99. 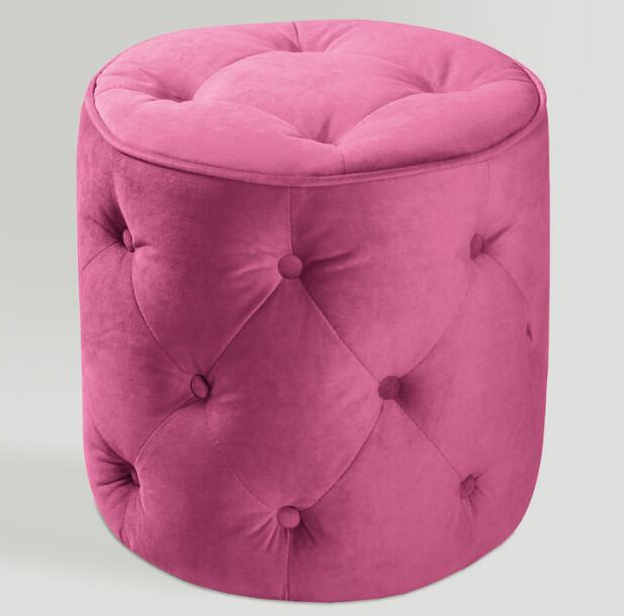 Get the chair for $249.99, the nightstand for $299.99, and the ottoman for $99. 10. Target for basics that pop. Why it's great: Like Ikea, Target is a store with a fan base. 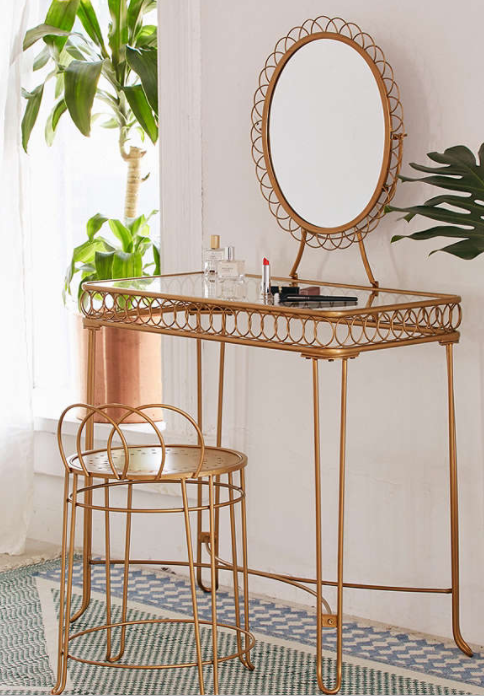 While you may be primarily obsessed with Targét because of their adorable clothes, killer beauty products, and all the random stuff you never knew you needed, their furniture is equally fun and well-priced. 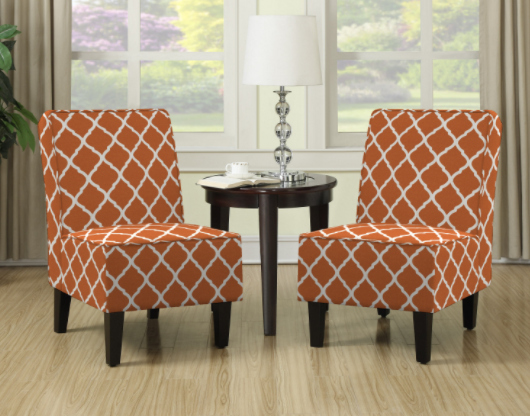 Pricing: Living room furniture starts at $14.99. 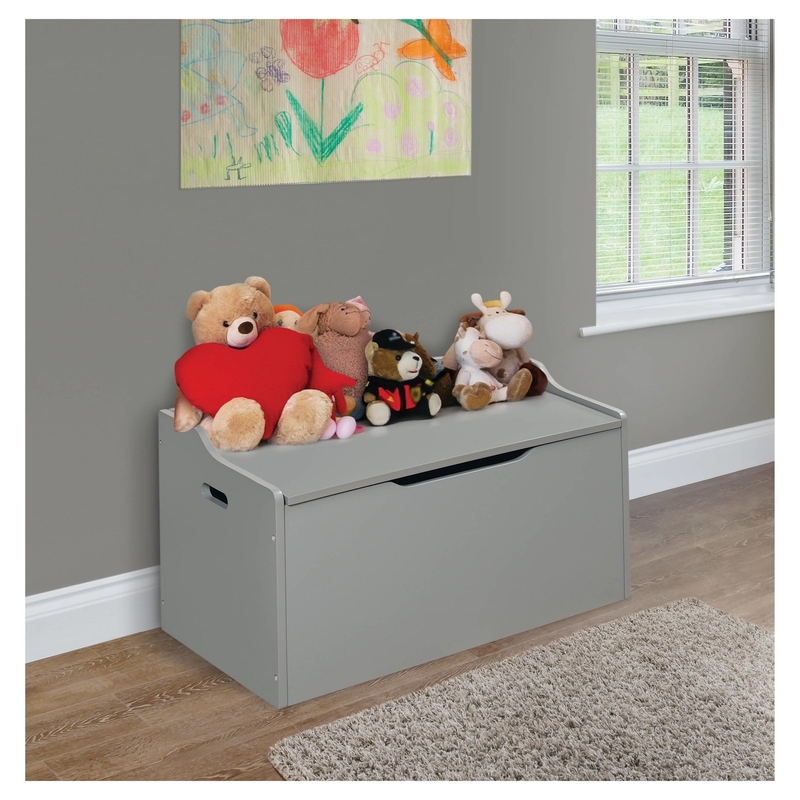 Get the table for $94.99 (available in three colors), toy chest for $67.99 (available in two colors), and the bed for $379.99 (available in two colors). 11. 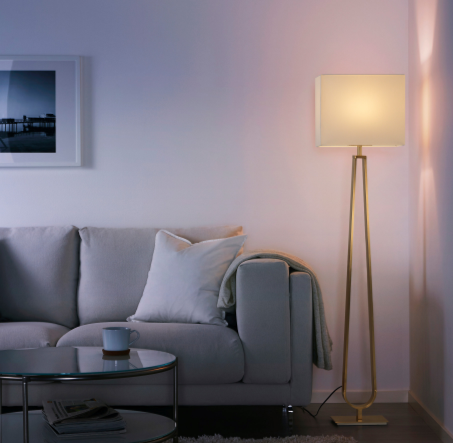 Dot & Bo, a well-curated site that can replace an IRL interior designer. 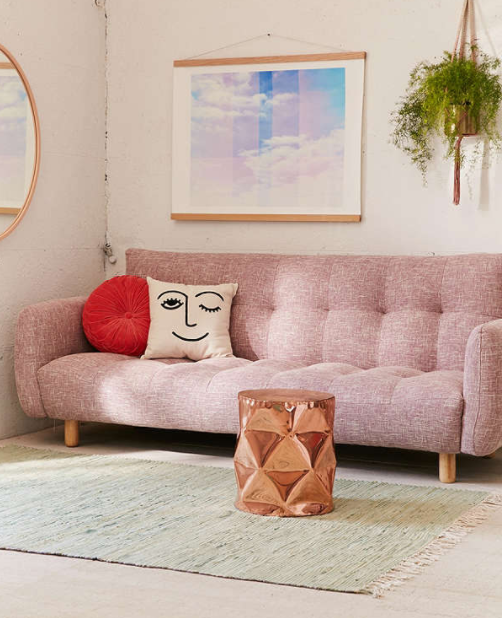 Why it's great: This quirky site allows you to shop by styles and themes ranging from "Organic Minimalism" to "Bright and Brilliant Midcentury Modern." 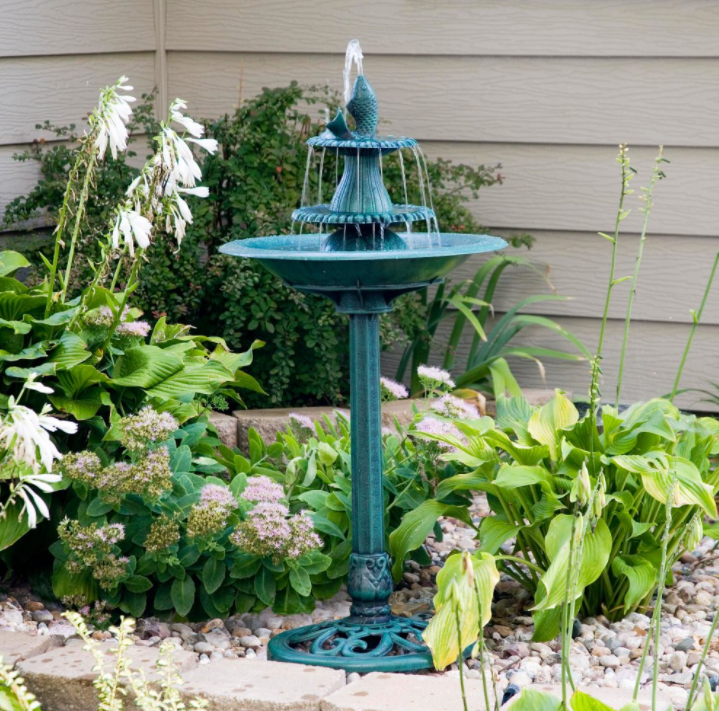 You're sure to find something that fits your vibe and budget. Pricing: Furniture starts at $17.99. Shipping: Free for most items. 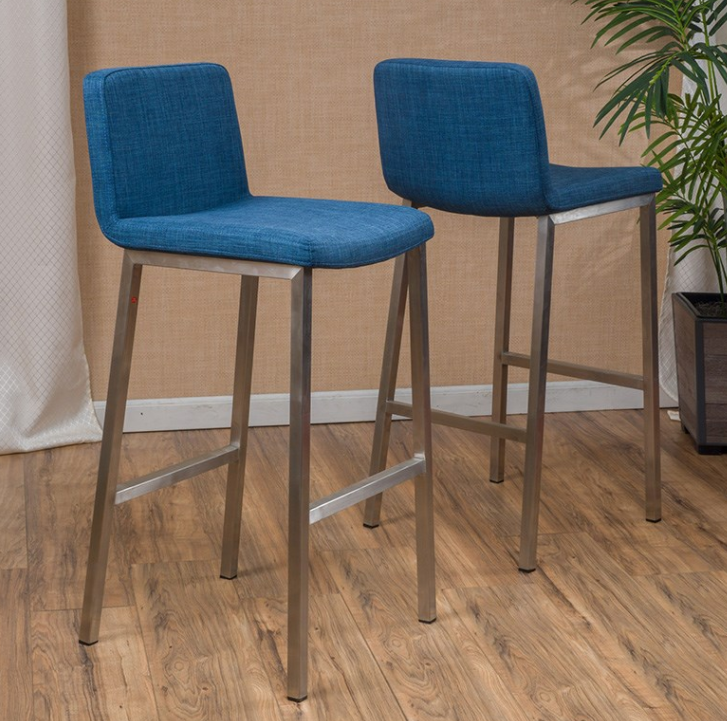 Get the barstools for $136.99, the loveseat for $680, and the shelf for $60. 12. 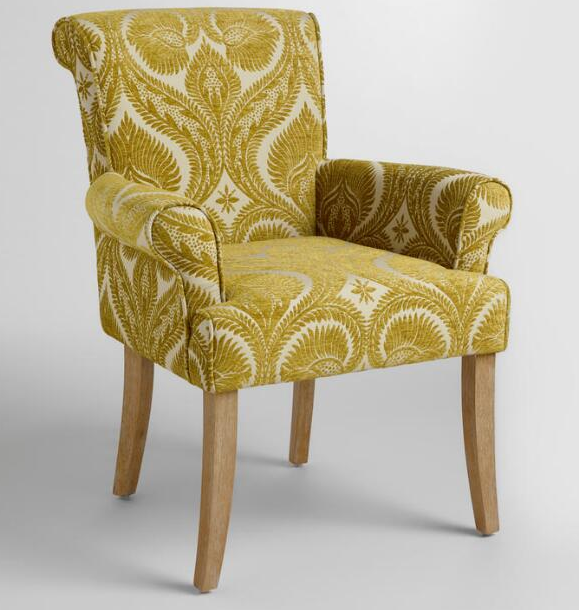 Hayneedle for furnishings that are classic, whimsical, and cozy. Why it's great: Their site features curated, shoppable galleries and tons of baby and kids' and outdoor furniture. 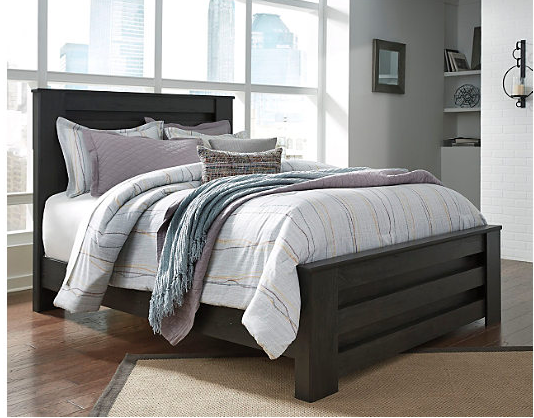 Pricing: Beds start at $60.77, sofas start at $277.41. Shipping: Free for orders over $49. 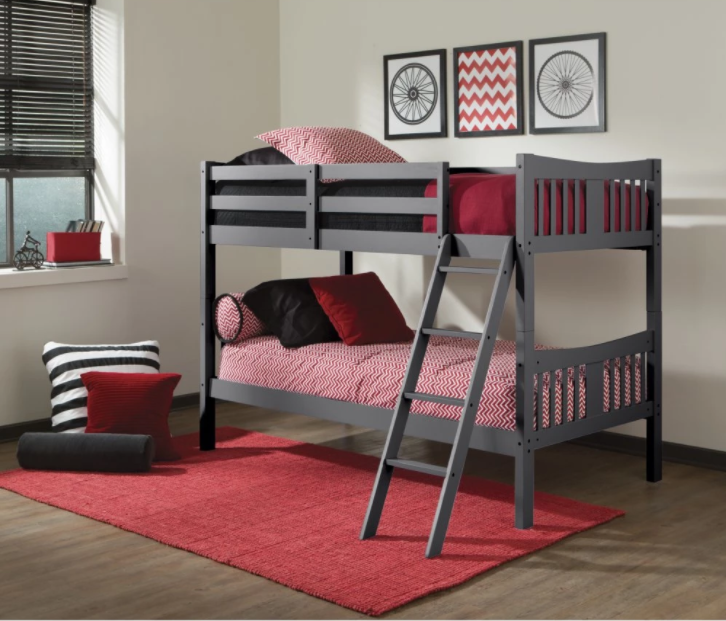 Get the the bunk bed for $179.88+ (available in four colors), the entertainment console for $212.76 (available in three colors), and the bird bath for $50.40. 13. Walmart, which has a huge selection and convenient delivery. Why it's great: The superstore allows you to shop by room, style, or brand, and has a large stock of decor and appliances, too. Many pieces are even available for same-day, in-store pickup. 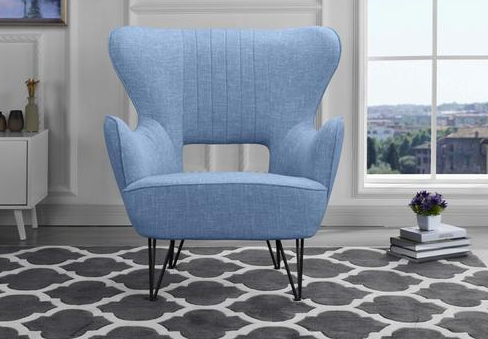 Pricing: Sofas start at $134.10, armchairs start at $64. Shipping: Many items eligible for free shipping or store delivery. 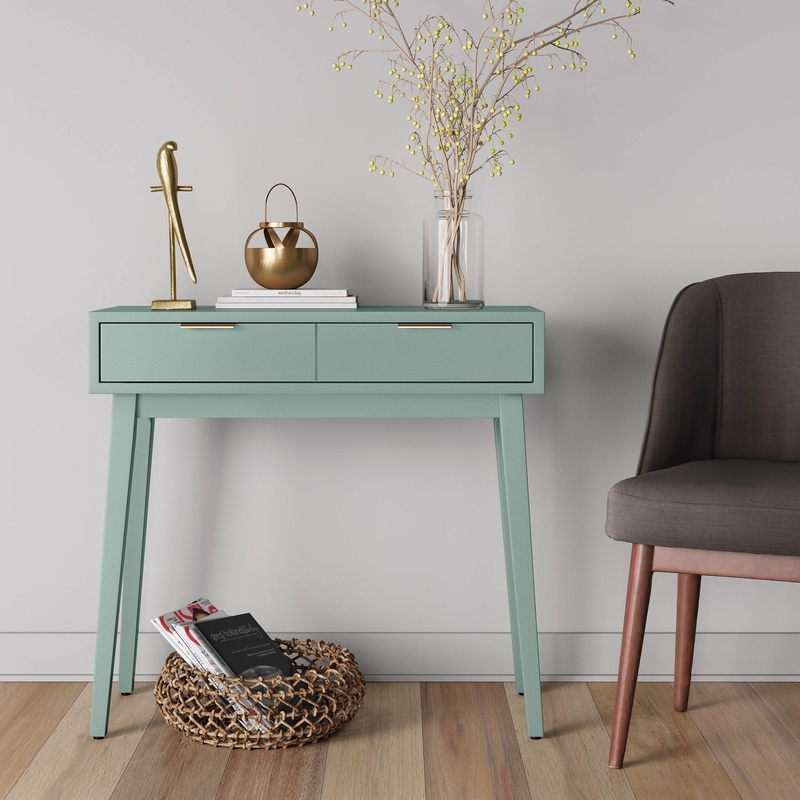 Get the desk and chair set for $89 (available in four colors), the sleeper sofa for $250+ (available in three colors), and the shelving unit for $179. 14. Lexmod, a store full of the bright stuff. 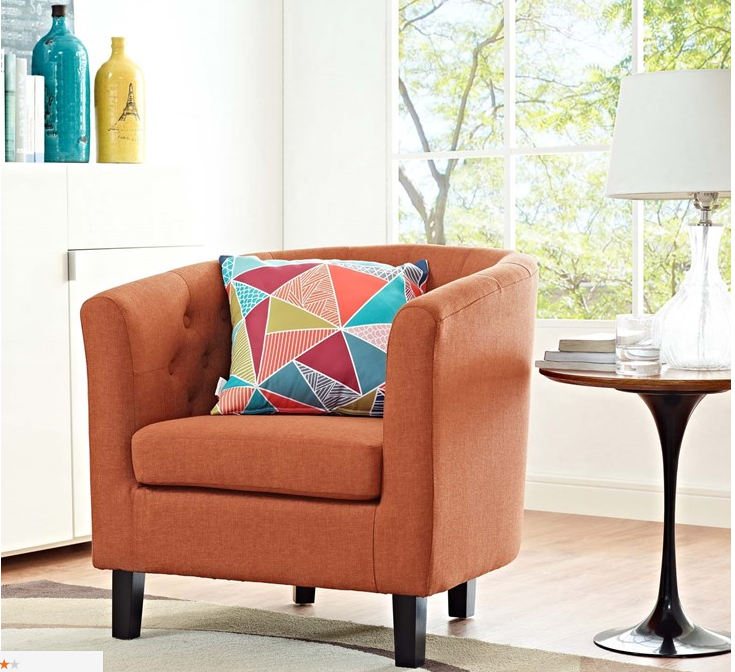 Why it's great: Almost everything on this easy-to-navigate furniture site is available in a huge array of colors. They source everything directly, so their prices, unlike the existing decor in your house, can't be matched. 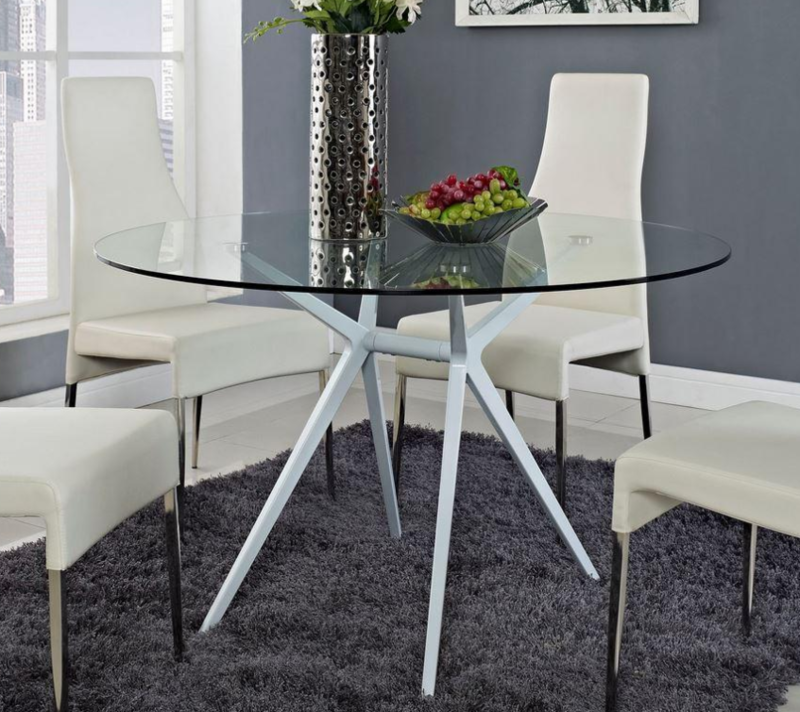 Pricing: Living room sets start at $157.50, dining sets start at $87.25. Shipping: Free, and no sales tax! 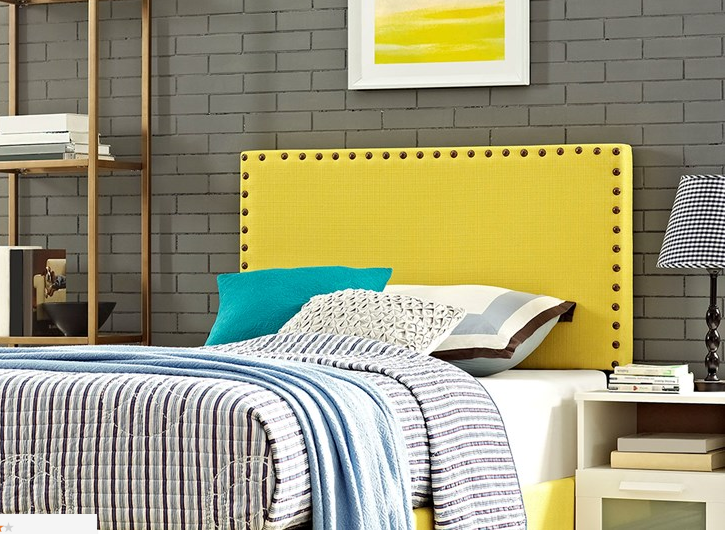 Get the chair for $186.50 (available in 10 colors), the headboard for $74.50 (available in seven colors), and the side table for $122. 15. Kohl's for pieces that look luxe without the major price tag. Why it's great: This affordable department store is an excellent destination for simple, cozy home basics. It also stocks lots of cute kids' stuff. Pricing: Furniture starts at $25.99. 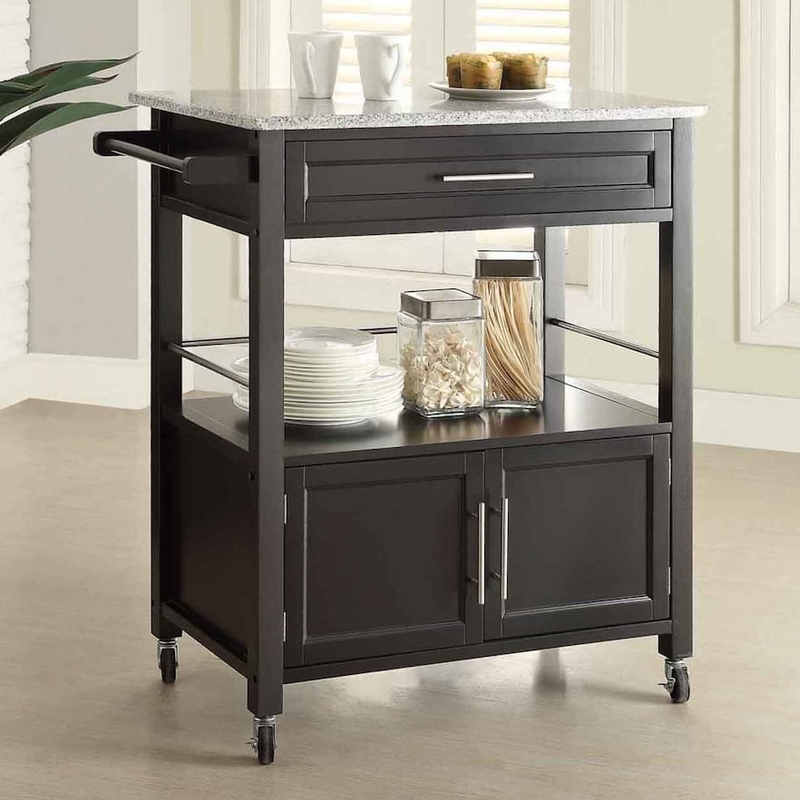 Get the kitchen cart for $255.99, the sofa for $695.99 (available in three colors), and the lamp for $99.99. 16. eBay, because Weird Al was right — it's worth singing about. Why it's great: Like Amazon, eBay is a place where you can find pretty much anything. 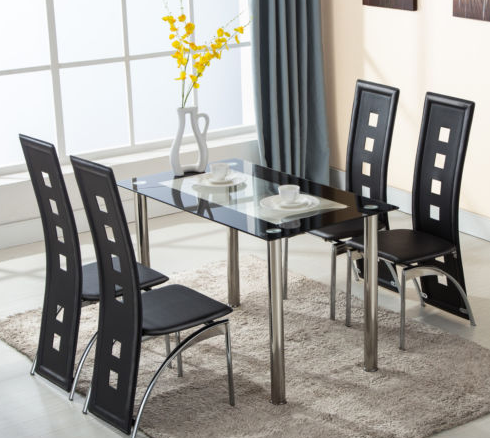 They carry furniture in every style and price range, and by many top brands. Pricing: Varies widely by seller. Shipping: Varies by seller, but many items are eligible for free standard shipping. 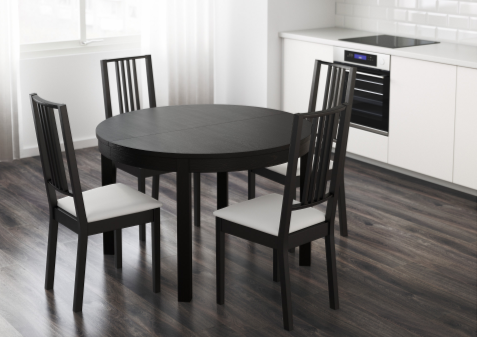 Get the wardrobe for $329.99, the dining set for $179.90, and the bench for $122.39. 17. Joss & Main to find things for both people and pets. Why it's great: This site lets you create your own idea boards and has a room planner so you can map everything out. 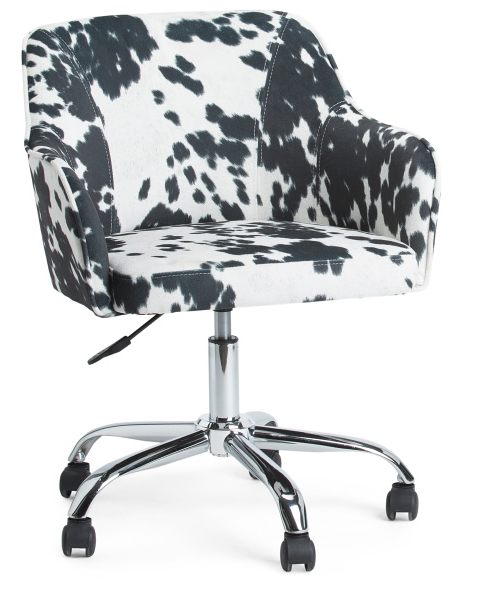 Plus, they do custom upholstery and carry doggone cute pet furniture. Pricing: Sofas start at $153.99, beds start at $97.07. 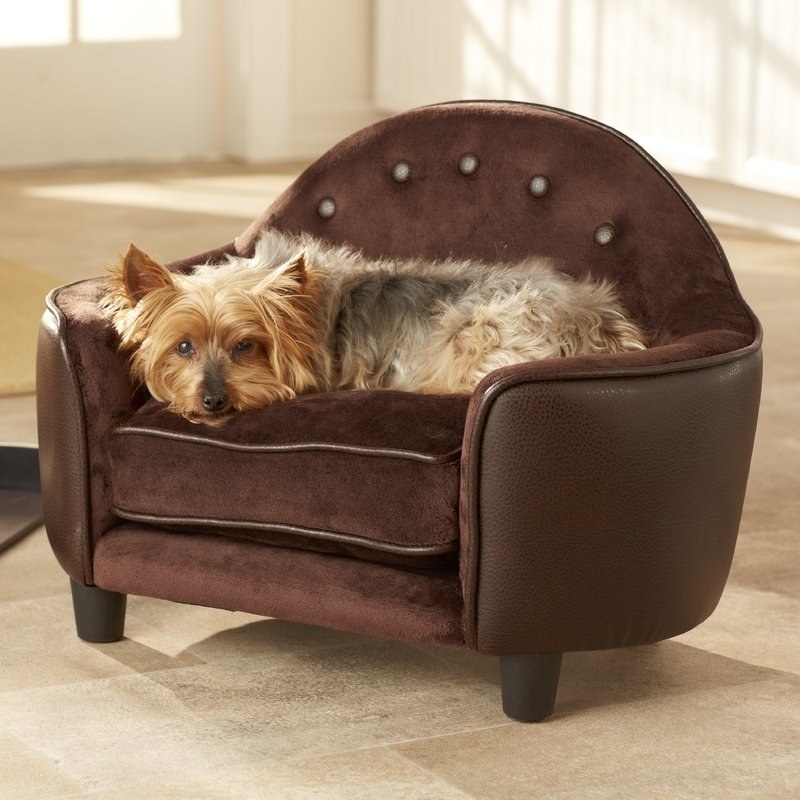 Get the pet bed for $67.99, the chaise for $243.99, and the credenza for $129.99. 18. 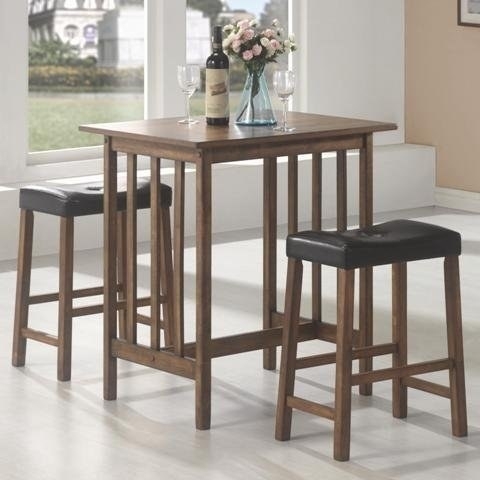 Ashley Furniture Homestore for deals on deals on deals. 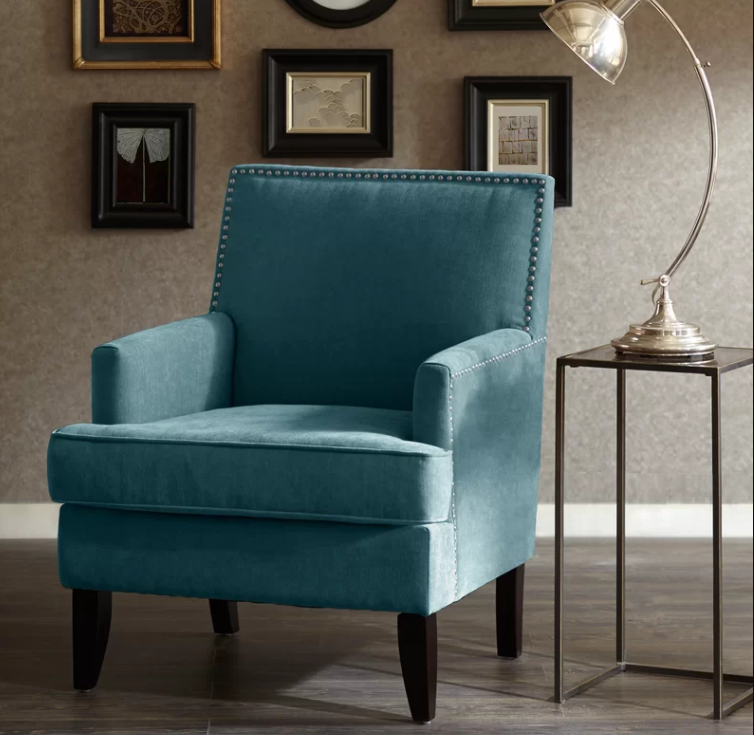 Why it's great: Ashley is a massive furniture store that stocks everything you could possibly want, and they frequently have killer sales. Pricing: Desks start at $161.99, sofas start at $298. Get the bed for $298, the chair for $148 (available in three prints), and the ottoman for $98 (available in three colors). 19. Bed Bath & Beyond, which is worthy of the more fabulous name Bed Bath & Beyoncé. Why it's great: I know, it may give your flashbacks to moving into your freshman dorm. But it's worth it for the wide variety of styles that they offer. Plus, several items have the option of in-store pickup or same-day home delivery. 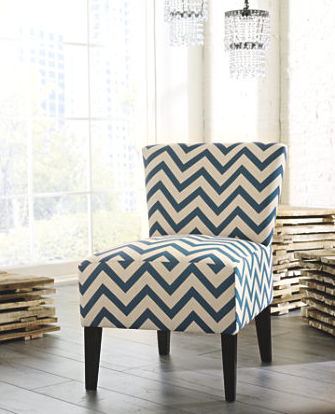 Pricing: Living room furniture starts at $6.99. Shipping: Free standard shipping for orders over $29. 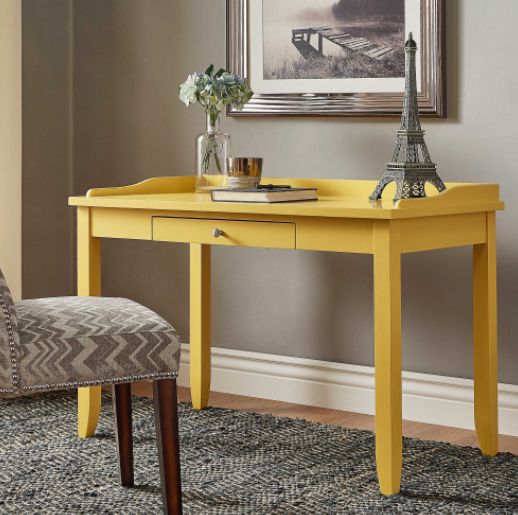 Get the desk for $199.99 (available in four colors), the wine rack for $149.99 (available in two colors), and the headboard for $156.99+ (available in four colors). 20. AllModern has a giant inventory and wide range of prices. Why it's great: You can find especially good steals in their outlet section. 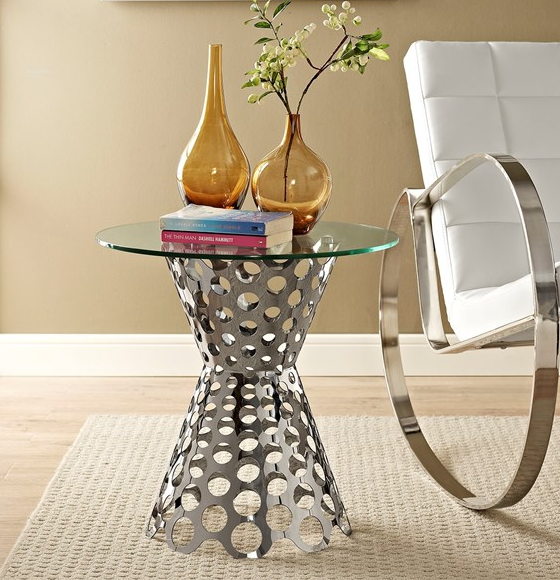 Pricing: Coffee tables start at $64.99, armchairs start at $123.99. 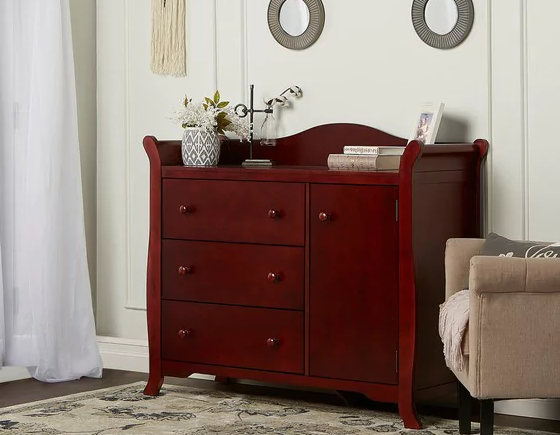 Get the dresser for $209.99 (available in four colors), the desk for $157.99 (available in two colors), and the chair for $182.99 (available in three colors). 21. Home Depot is great for more than just hammers and nails. 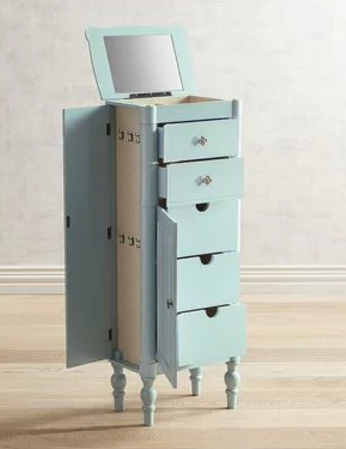 Why it's great: Their website has an amazing furniture selection and allows you to shop by style or by pre-assembled looks. Who needs an interior decorator? 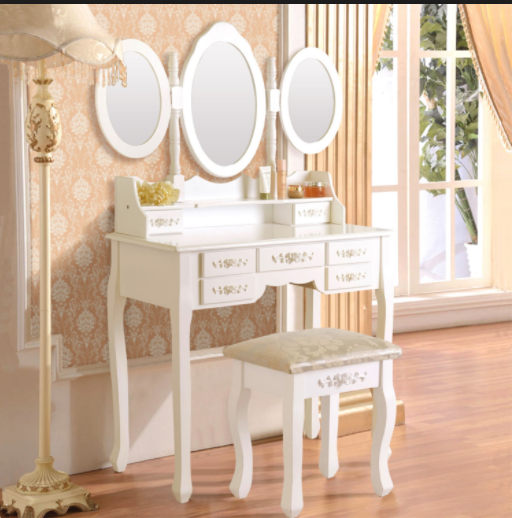 Pricing: Bedroom furniture starts at $14.46. Shipping: Free in-store pickup (as fast as two hours on some items), many items eligible for free shipping, many more ship free with an additional purchase of $45+. 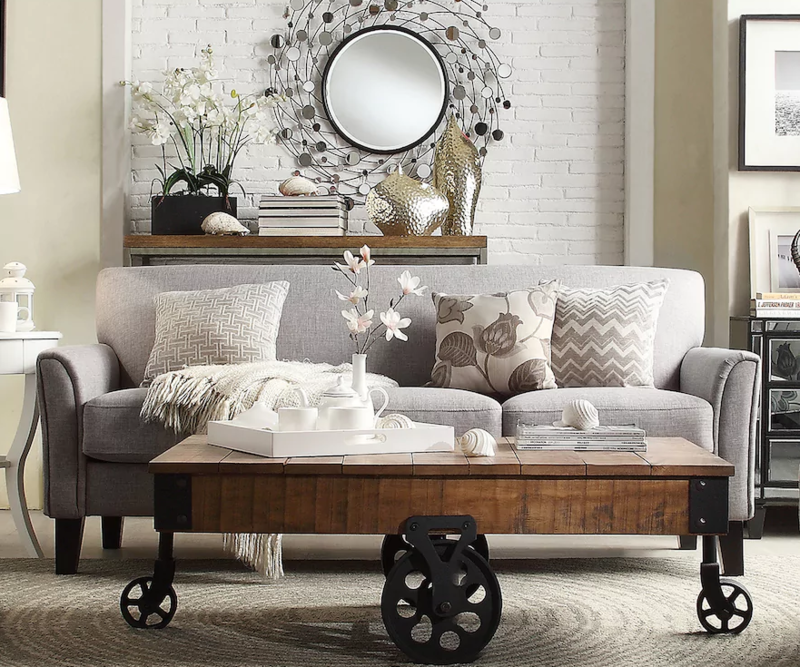 Get the bed for $281.95, the mirror for $51.97, and the coffee table for $129.99 (available in two colors). 22. 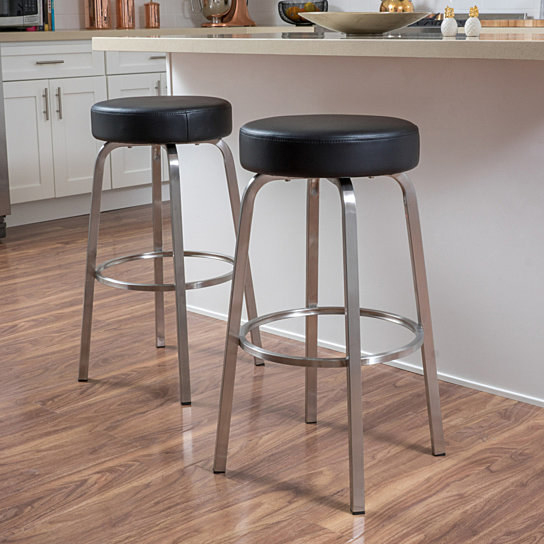 Houzz, an all-purpose destination for furniture, inspiration, and other home logistics. Why it's great: Houzz is more than a furniture store with a name that could belong to a platinum-selling rapper. 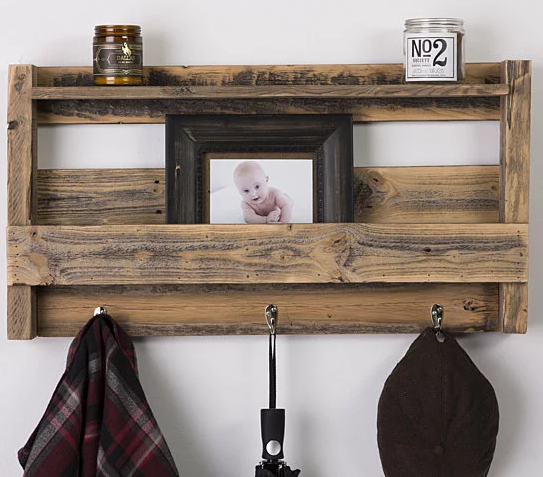 The site also features thousands of photos for inspiration and a search tool for finding professionals — from contractors to designers to electricians — for every home service you could possibly need. 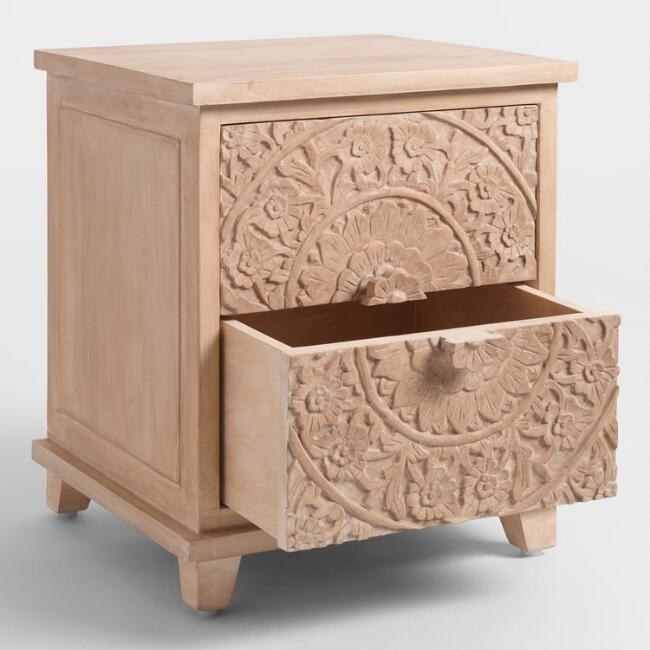 Pricing: Dressers start at $22.49, end tables start at $18.20. 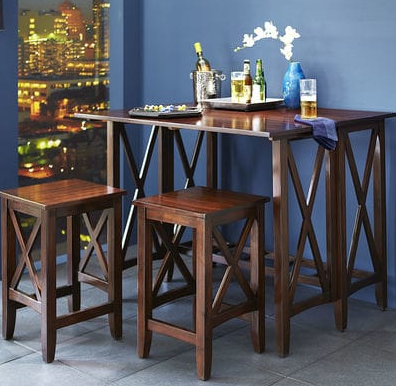 Get the home bar for $202.34, the sink vanity for $274.99, and the loveseat for $199.99 (available in three colors). 23. 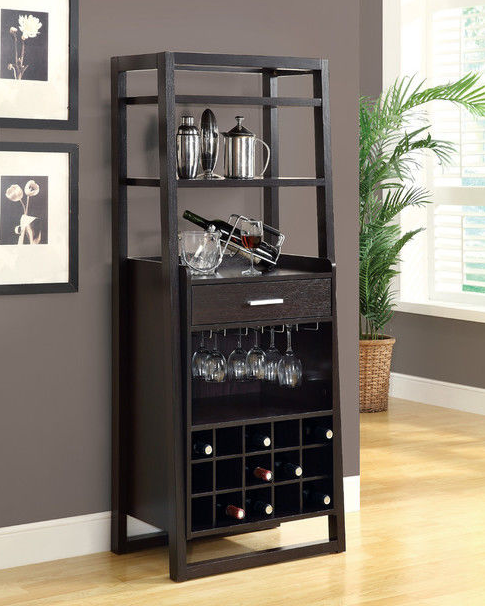 Overstock for quality finds at excellent prices. 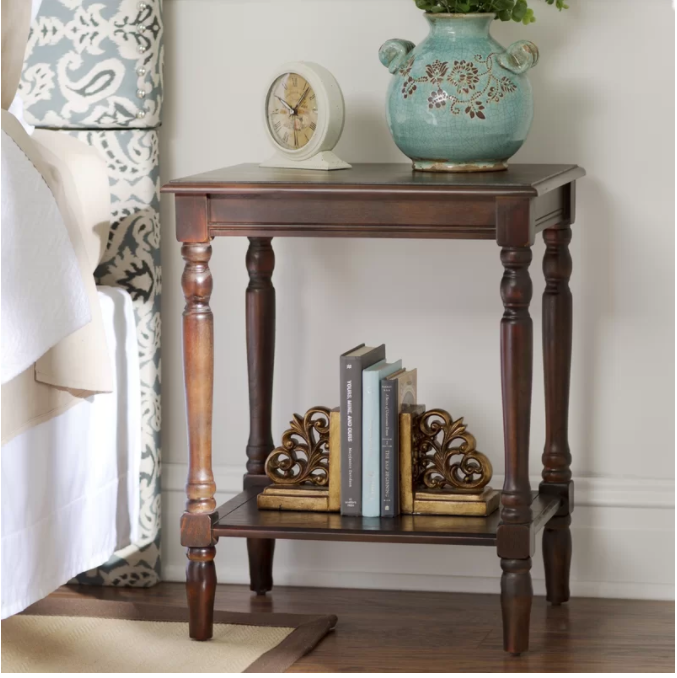 Why it's great: This discount website carries almost every type of item under the sun at major sale prices, and furniture is no exception. Pricing: Beds start at $78.99, sofas start at $166.99. Shipping: Free for orders over $45. 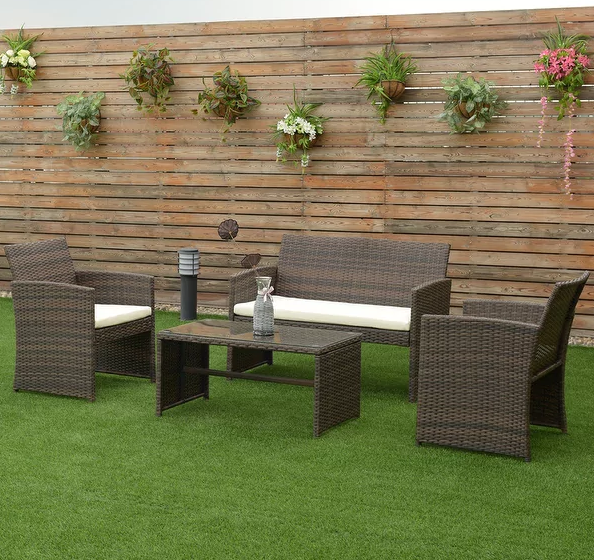 Get the four-piece patio set for $203.99, the set of two dining chairs for $129.99+ (available in five colors), and the dresser for $279.99. 24. Apt2B to luxe up your life. 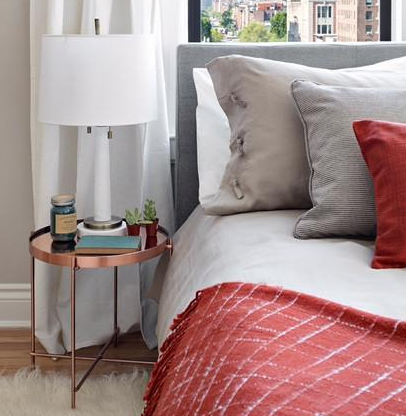 Why it's great: While a bit pricier than the other shops on this list, Apt2B has an outlet section and sleek pieces that are worth a little splurge. Pricing: Outlet items start at $57. 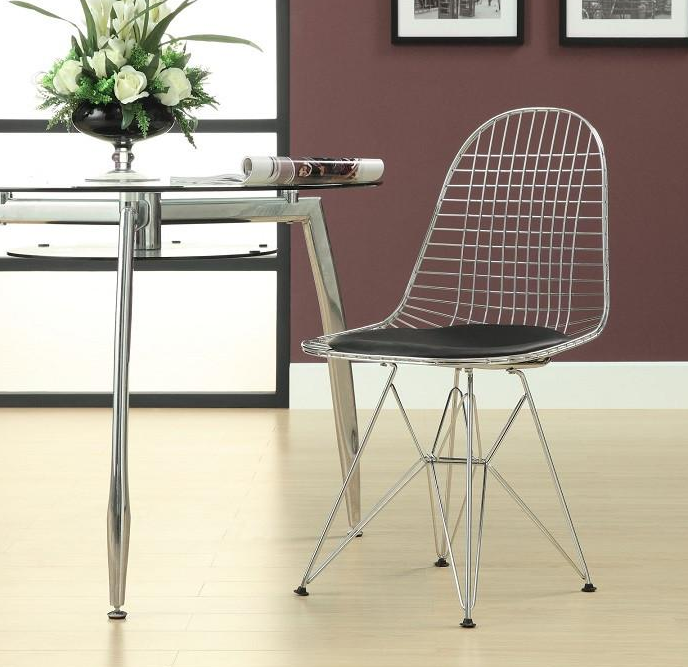 Get the side table for $98, the chair for $184, and the table for $490. 25. Burlington Coat Factory, because it stocks way more than just coats. More than just coat racks, even. Why it's great: You'll find items discounted up to 65% of the usual retail price, and you can shop for some cute clothes while you're at it. 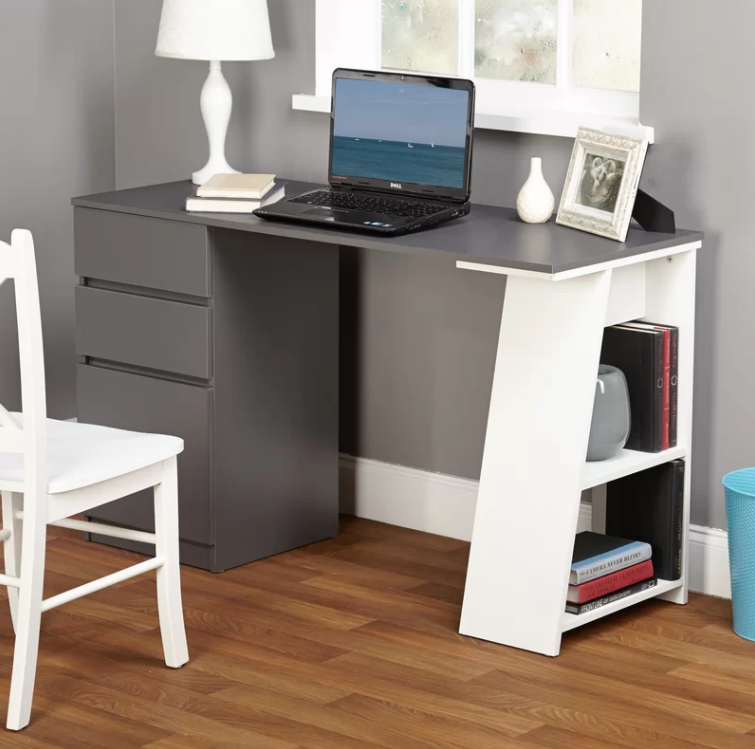 Get the vanity desk for $229.99, the barstool set for $219.99, and the bench for $72.99. 26. 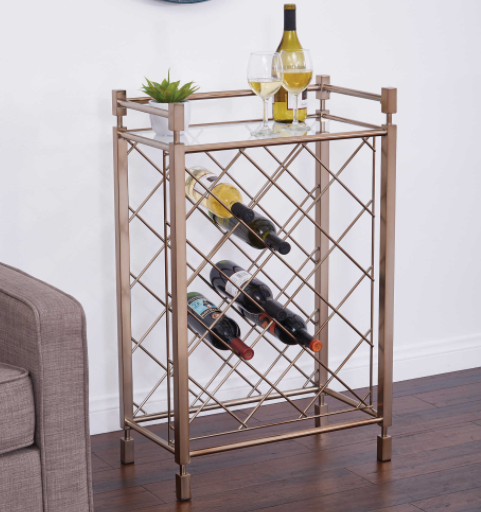 BJ's Wholesale Club for pieces that look way pricier than they are. Why it's great: This wholesale store has a membership program that entitles you to extra discounts, but you can also shop online without a membership. Plus, some items are available for in-store pickup. Pricing: Membership starts at $50/year, sofas start at $279.99. Shipping: Included in the price of most items. Get the bed for $199.99, the media center for $119.99, and the set of two accent chairs for $229.99. 27. 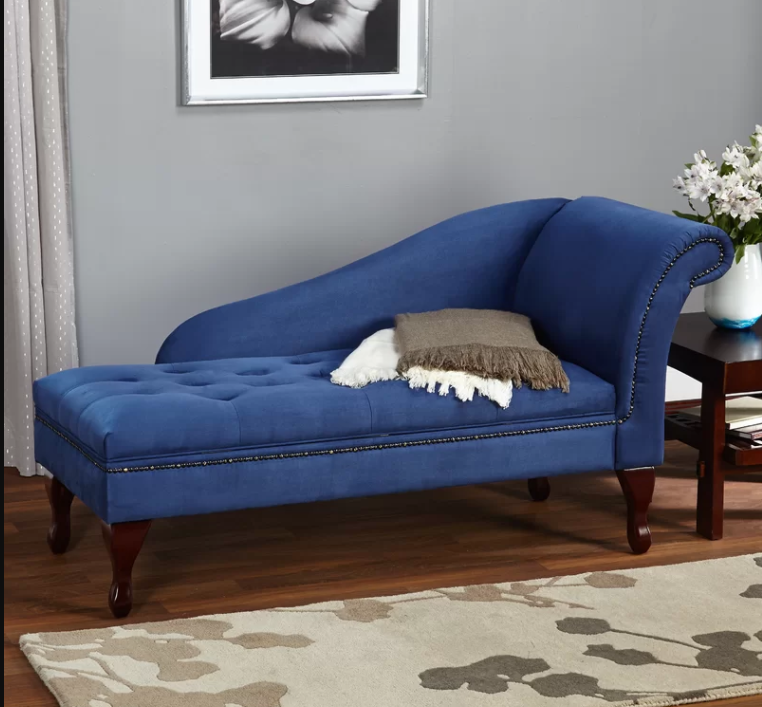 Sofamania, which lives up to its name and has a crazy good selection of sofas, plus other furniture too. 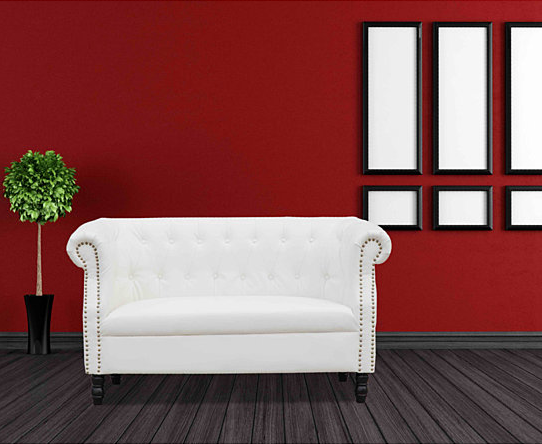 Why it's great: They stock chairs and sofas in every color of the rainbow, plus a smaller selection of desks, tables, rugs, and ottomans. 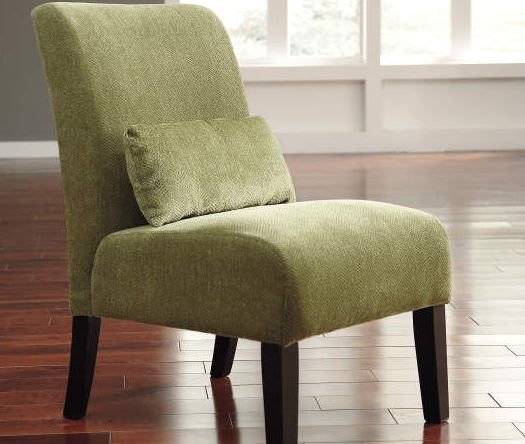 Pricing: Sofas start at $199.99, accent chairs start at $124.99. Get the sofa for $199.99 (available in three colors), the chair for $179.99 (available in five colors), and the desk for $69.99. 28. 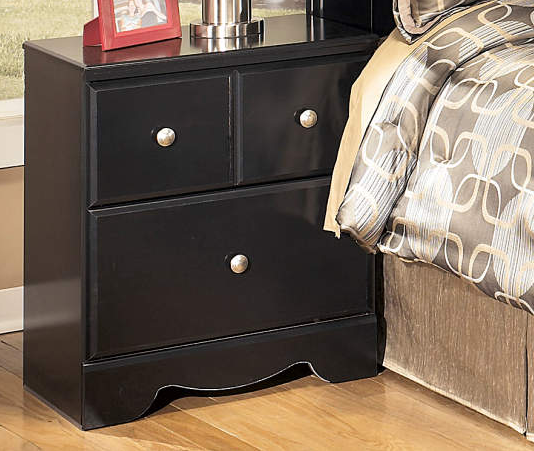 BigLots has lots and lots of inexpensive furniture. Why it's great: The big box store has different deals each week, from buy-one-get-ones to free additional items with purchases. 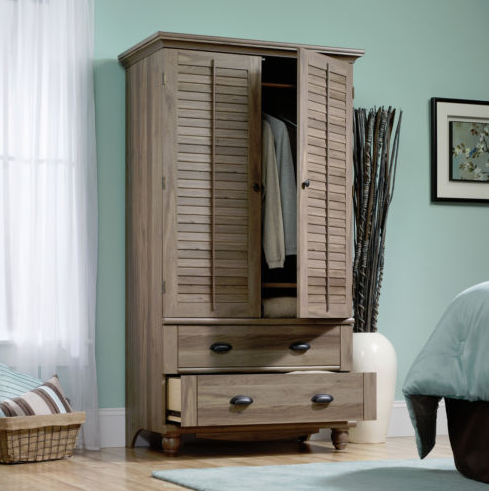 Pricing: Bedroom furniture starts at $37.99. 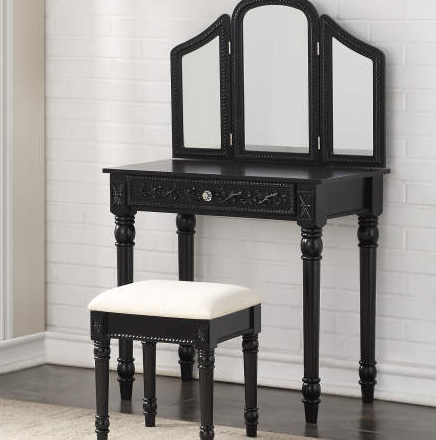 Get the vanity for $99.99, the nightstand for $159.99, and the chair for $149.99. Specifically looking for couches? 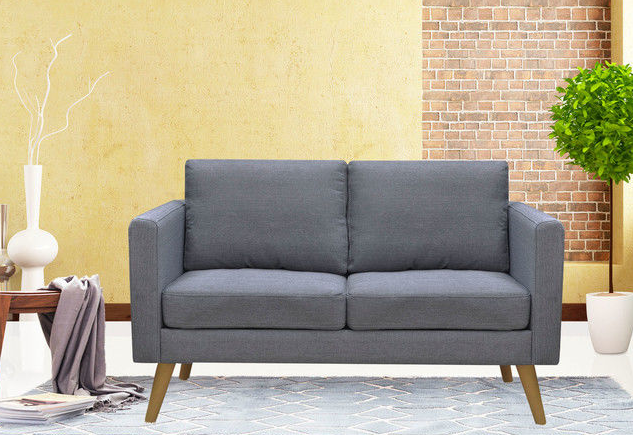 Here are the best places to buy a couch online.